Standing aloft the almost completed new Point Resolution Bridge with my fellow Waitemata Local Board members, I marvelled at how this project had so quickly come together and been completed to such a high standard of design and workmanship within a tight timeframe. The old bridge had become unsafe only a year ago and now a stunning new bridge has been erected that allows the new electrified rail to pass under it. The talented and dedicated staff over many arms of Council and Government agencies came together with the Local Board to fast track the new landmark that we can all be proud of. As Board Chair I will be officially opening the bridge this month to welcome yet another completed local project, with the Board funded walkway to connect the bridge to the Parnell Baths following immediately on its heels. The view over the whole Auckland harbour and downtown is breath-taking! The gestation of projects into real community improvements normally takes longer, and while this can be a little frustrating at times it is usually because we want to do all the preparatory planning so we can ensure improvements funded by your hard earned rates fit into the community’s vision for their neighbourhood and are done right. The future civic open space at the Nosh site at 254 Ponsonby Road is a case in point. Many won’t even know this site was purchased in 2006 for future open space. Little preparatory work was done on progressing it until recently. The Board was not happy with a rushed process for its development now that some concept proposals have been presented and the process was slowed down by the Board to make sure all the community voice can be heard. It will form a part of the Ponsonby Road Master plan that Board members Pippa Coom and Tricia Reade with a council team and community representatives are helping to develop. Your input will be sought in July. The two Council-funded artificial turf fields at Seddon Fields in Westmere will be finished very soon in time for the winter soccer playing season and I look forward to watching some matches that will now not be ‘rained off’. The Board’s Costley Reserve in Freemans Bay redevelopment plan had an open day last month which was well attended and locals have given us useful feedback. The Board’s Weona-Westmere Coastal Walkway project is presently at resource consenting stage, with formal public submissions having recently closed. After Easter the much anticipated Coxes Bay bridge and boardwalk renewal and widening started as the first project in the Board’s recently completed Greenways Plan. It is going to be a real asset when it is finished. My heartfelt thanks to all the hardworking community volunteers who have been cleaning up the area over many years. Your persistence in ecological restoration and leading by example has inspired us. Thanks also to those who made submissions to the Waitemata Greenways Plan. A safe cycling and walking network is part of a connected and healthy neighbourhood. We have heard the community voice in the consultation. Other projects identified in the Plan will follow as early as this coming financial year as we make funding decisions. The Draft Unitary Plan consultation is occurring in many community halls around Auckland and local residents who many never have been to a public meeting in many years have turned up to listen to the plans and give their views. I must agree with locals in Arch Hill and Grey Lynn that it is indeed disappointing to see an Australian DIY chain covet land in Great North Road that many of us thought was identified as prime inner city apartment and terraced house territory. While job creation is important, so too is making the best decisions over where Auckland intensifies in a way Aucklanders and the nearby locals can understand. 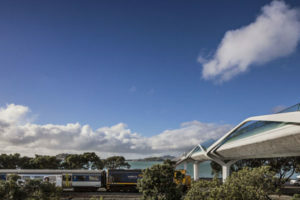 This may be another example where giving clear signals about community expectations on appropriate development, lends weight to the arguments for giving the Unitary Plan some weighting from when it is notified in September… alongside implementing the draft proposed heritage and character protections in the Plan at the earliest opportunity. Last month I wrote of the new housing choices the Unitary Plan is intended to offer Auckland as it slowly intensifies. At a personal level my family have sold our much loved 105 year old 5 bedroom character villa to a new family and have moved to a smaller three bedroom city fringe apartment. With only two teenagers still at home we are looking forward to all that the inner city has to offer in our Beaumont Quarter apartment.